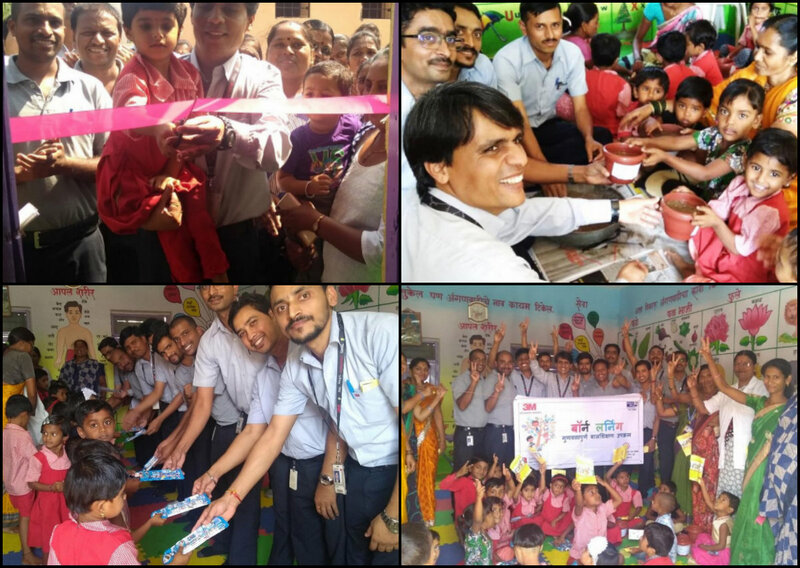 The Born Learning Campaign (BLC) hosted an inauguration in 6 Anganwadi centres of Shirur block in Pune. 160 children and 150 parents were in attendance along with 3 ICDS Supervisors and 25 employee volunteers from our Corporate Partner. The Anganwadis all organised palak shalas with activities like creating kitchen gardens, planting saplings and seeds, poetry recitation, etc.